Paradise Cave, or Thien Duong Cave be a pity if escape of a visit, while in Vietnam. The beauty of the cave that is hidden like a fairy tale. Cave managed to attract not only tourists but also the researchers and local and international explorers. 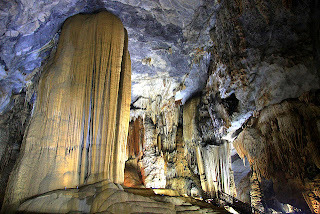 Cave discovered in 2005 in Quang Binh Province. After five years as builders made ​​the development of routes along the cave, then Paradise Cave was opened to the public by Truong Thinh Group in September 2011. The length of the cave reaches 31 km. Dr. Howard Limbert, members of the British Cave Research Association, said the cave was probably the longest and dried in Asia. Cave ceiling soaring and spacious, and decorated with stalactites, stalactites of various shapes. 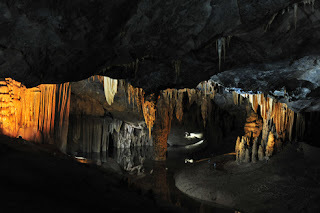 Structure of the cave is very unique and extraordinary will make all who come to visit impressed. Once inside the cave, visitors can feel the crackling sound of laughter from the steps or other visitors. The location of the cave about 60km from the town of Dong Hoi, Quang Binh, located in the Phong Nha and Bang Forest.